In 2009, Toyota and Lexus introduced 11 new products that deliver on the promise of making things better for our customers and the environment. In 2010, Toyota and Lexus have already each introduced a new more fuel efficient model to their respective vehicle line-ups. As of 2009, and each year moving forward during their life cycle, Toyota vehicles save a minimum 7.5 million litres of fuel and 18,000 tonnes of CO2 emissions through the use of hybrid technology, improved engine and transmission efficiency, smaller engines and 2-wheel drive options. The Lexus RX 450h - with unsurpassed hybrid power, performance and luxury - produces 295 total system horsepower with the same fuel consumption as the 1.8L Corolla. Toyota Prius and Yaris were named 2010 ecoENERGY award winners by Natural Resources Canada’s Office of Energy Efficiency for the 10th and 5th straight years respectively for continuing to set the benchmark for fuel efficiency in their categories. 2010 Toyota Prius received the MotorWeek Drivers’ Choice Award for “Best Eco-Friendly vehicle”. Not only are we committed to raising the bar in terms of sustainable mobility for consumers, we’re also applying these principles to the manufacturing side or our business. For example our Japanese Tsutsumi plant’s extensive use of solar power provides half the electrical energy required to operate the site – one of many ways the plant reduces its carbon footprint. Since Toyota introduced hybrid vehicles in 1997 (in Japan; 2000 in Canada), we have sold over 2 million hybrid vehicles worldwide, more than 47,000 of which have been sold in Canada. 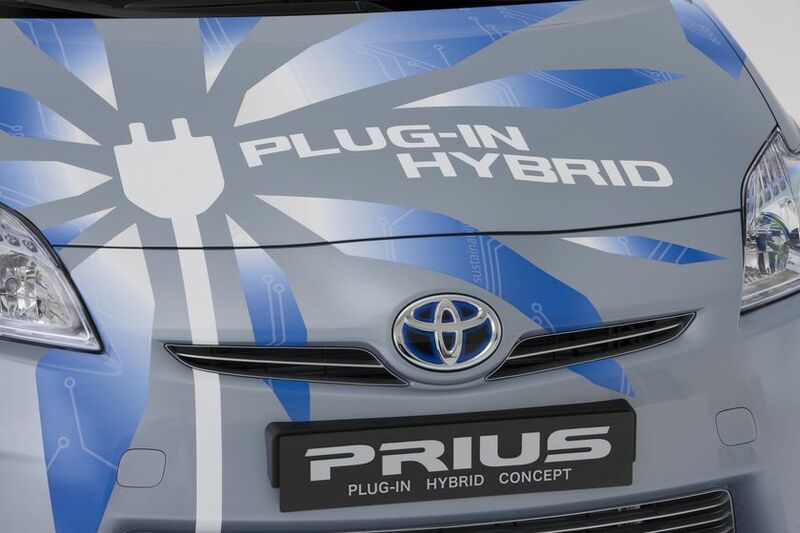 This year, we have introduced the production model of the Toyota Prius Plug-In Hybrid vehicle. Five of these vehicles are part of the first Canadian program – in partnership with governments, academics, cities and power authorities – to test the all-new Prius Plug-In Hybrid under real-world operating and climate conditions as part of Toyota’s global trial. Lexus remains the world's first and most extensive line-up of luxury hybrid vehicles. Looking ahead, Toyota’s strategy is to offer a wider variety of conventional hybrid choices to its customers, as it begins to introduce plug-in hybrids (PHVs) and battery electrics (BEVs) in model year 2012, and hydrogen fuel cell vehicles (FCHVs) in 2015 in global markets.